Cyberlink just released the all new PowerDirector 13 and you can now get up to $15.00 off your order when getting it at cyberlink.com. Just enter coupon code OFF5P at checkout to activate the discount (you’ll save the most on the Ultimate Suite version). When ordering at the Cyberlink Store, be sure to select the “download” version of the software that you wish to order to avoid any extra shipping and handling charges (plus you will be able to install your order immediately after checkout). With PowerDirector 13 just released, Amazon is slashing prices on all the remaining versions of PowerDirector 12 in stock. You can now get the Ultra version for up to 58% off the list price – That’s a savings of $58.49, dropping the price down from $99.99 to $41.50. Plus you get free shipping included in that price. You can also find some pretty good deals on Ultimate Suite and Ultimate as well so be sure to take a look at those versions before you checkout. They carry Cyberlink software in the digital format which are usually priced a little bit cheaper than the boxed versions (you save on the packaging costs, can feel good about being environmentally friendly, always have a copy of your serial number in your Amazon account, and you don’t need to wait for it to arrive in the mail). Because Amazon is Cyberlink’s top reseller, you’ll also see their products listed in the software deal of the week section. 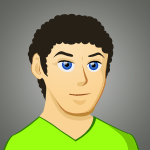 Keep in mind that discounts vary across versions and tend to slightly vary in a daily basis. 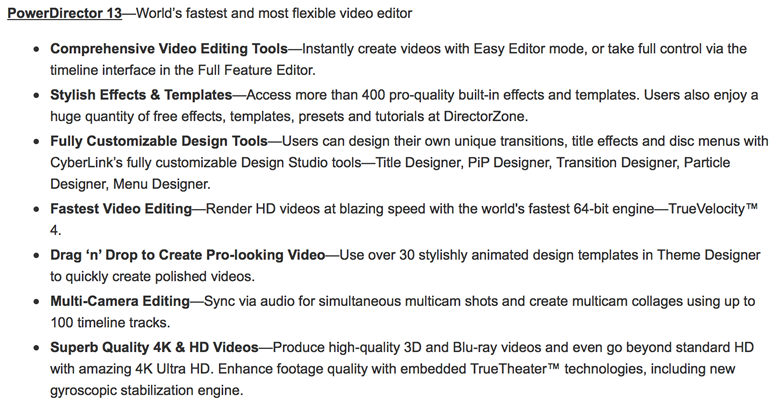 Do you own any version of Adobe Premiere Elements, Sony Movie Studio or Pinnacle Studio? If so, Cyberlink has a competitive upgrade program where you can get up to a $80.00 rebate if you switch to PowerDirector. To qualify, you’ll need to complete a short form indicating the video editing software you’re currently using and why you want to switch over. You’ll also have to upload a screenshot of the about page of your competing software as proof of ownership. The validation process is usually completed within two business days. Students and teachers can buy the academic version of PowerDirector for up to 40% off the regular price (it’s usually the best price from all the deals out there). The Ultra version is priced at $59.95, the Ultimate version is $77.99, and the Ultimate Suite for $149.97. Verification is required so you’ll have to send a photocopy of your school ID card with this Quarters/Semesters date on it or one of the other acceptable student verification forms. Save 40% when upgrading to PowerDirector 12 Ultra from versions 11.0 or 12.0. If you’re on a non-Ultra version of 11.0 or 12.0, then you save 30%. There is no coupon code needed to take advantage of this deal, but you will need to be able to provide Cyberlink with your existing serial number as proof of ownership. If you own any of the older versions, there is no extra upgrade discount so we recommend you take advantage of one of the other promo codes or sale prices on the full version. This is an ongoing deal. If you’re new to PowerDirector 13 or are considering switching from another home video editing software program, then you can take try it out for free before you buy it. You’ll have a full 30 days to try it out and play with the new features. Then once 30 days passes from the date you first installed it, the software will require you to enter a serial number to activate the perpetual license. Otherwise, it will stop working and you can just uninstall it if you decide it’s not the best program for your video editing needs. What’s new in Powerdirector 13? Now a serious competitor to Adobe Premiere Pro, Cyberlink’s PowerDirector 13 takes video editing to a whole new level. The new 64-bit video editing in H.264 encoding gives you nearly 50% faster edits. This helps take your creativity further with the new MultiCam and Theme Designer tools. These features let you simulate up to four live cameras when switching scenes and help you convert your photos/videos into stylish 3D-animated slideshows. Other new enhancements include the Motion Blur Effect, which help you add a sense of speed to your images, and Chroma Key that helps you merger green screen videos with your other videos. Finally, PowerDirector 13 has full 5.1 channel Dolby Digital Plus surround sound support (both when importing clips and editing videos). When is PowerDirector 14 releasing? Is there an expected launch date? We’re watching the latest PowerDirector 14 news and rumors expect to see the next release sometime in late-2015. If you’re worried about purchasing right before the release, keep in mind that there is a 30-day money back guarantee from Cyberlink; if within 30 days of your purchase PowerDirector 14 is released, then you can simply request for a refund and re-order the new version. 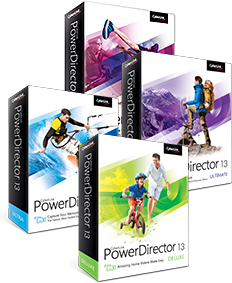 The PowerDirector 13 Ultra offers listed on this page were verified and tested by a human (that human being me, Eric Owen, founder of SoftwareVoucher.com). If you’re having troubles or difficulties in redeeming any of these deals of have found that some of the coupon codes have expired, then I would love to hear about it. Please submit the the details using our expired deals form and I’ll personally do what I can to help you out (because you should never have to pay retail price for your software! ).